Mrs. Edith Y. Frye, 72, of Olive Branch, MS passed away Sunday, May 27, 2018, at Baptist Memorial Hospital-Desoto in Southaven, MS. She worked as a teacher for over thirty years and loved each and every one of her students. Over the course of her career she taught at multiple schools in south Mississippi, at Schola Maxima in Huntsville, AL, and at Islamic Academy of Huntsville, where she retired from teaching in 2017. 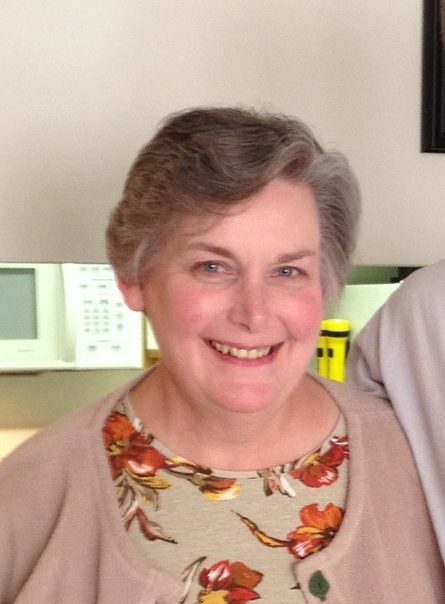 A lifelong member of the Lutheran Church, Mrs. Frye was an avid and engaged churchgoer, serving over the course of more than forty years as a Sunday school teacher and superintendent, as a church elder, and most recently as a member of the altar guild, a job which she performed with her typically high level of commitment. She enjoyed reading the newspaper, completing word puzzles, doing arts and crafts, painting, cross stitch, and macramé. She loved animals—especially cats—and provided a loving home to countless pets over the years. Her favorite movie was “The Sound of Music.” Mrs. Frye loved her family and absolutely adored her two grandchildren. She was kind to everyone she met, gentle, peaceful, and gracious. Mrs. Frye’s memory will continue to be cherished by the family, friends, and hundreds of students with whom she shared her life. Mrs. Frye leaves behind her loving husband of fifty years, Eugene F. Frye, Jr. of Olive Branch, MS; one son, John Frye (Vicki) of Olive Branch; one daughter Catherine Frye of Huntsville, AL; one brother, Reginald Yaude (Sandra) of Coeur d’Alene, ID; one sister, Judith Willis of Littleton, CO; one grandson, John Frye, Jr. of San Diego, CA; and one granddaughter, Kendall Frye of Huntsville. She was preceded in death by her parents, Alfred Franklin and Lela Faye Hunsucker Yaude. In lieu of flowers, the family asks that donations and memorials in honor of Mrs. Edith Y. Frye, be made to the American Cancer Society (P.O. Box 22478, Oklahoma City, OK 73123) or to the Greater Huntsville Humane Society (2812 Johnson Rd, Huntsville, AL 35805). A memorial service will be held Saturday, June 2, 2018, beginning at 2:00 P.M. at Messiah Lutheran Church (7740 Hwy 72 W, Madison, AL 35758). Edie was my sister-in-law. I loved her gentle and peaceful demeanor, her kindness and her attitude of acceptance and tolerance. She saw the best in others. She persevered, with a positive frame of mind, through challenging times. She enjoyed her work. In a “text” conversation in March, Edie said of her most recent teaching experience, “It was all an enriching and heart-warming experience,” and expressed the rich contribution of diversity. She deeply loved her family and I know they will miss her tremendously. My thoughts are with them, with condolences to my brother, Gene, my niece and nephew, Catherine and John (and Vicki, too), and their children, Kendall and John, Jr.
Next William “Buddy” Walker Wilkinson, Jr.